If you are looking for a convenient, effective way to whiten your teeth at home, our dentists at Markham Steeles Dental Centre in Scarborough can provide a custom at home whitening treatment. 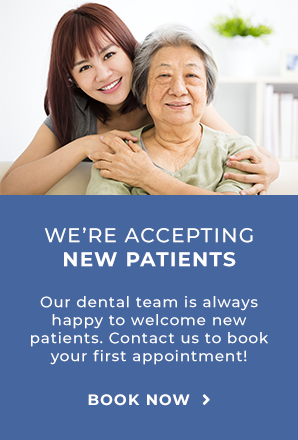 If you are looking to brighten your smile at home, our dentists can help. An at home tooth whitening kit consists of custom trays and pre-measured syringes of professional quality whitening gel. At your appointment, our dentist makes impressions of your teeth to create the custom whitening trays. At home, you fill the trays with the whitening gel. Wear the trays for just 30 minutes a day for 10 days to 2 weeks (depending on the treatment plan our dentist recommends) and at the end of the treatment, you will see a brighter smile.